Caleb Huey was interviewed on the Mapable USA podcast, which specializes in equity crowdfunding strategies and tactics. 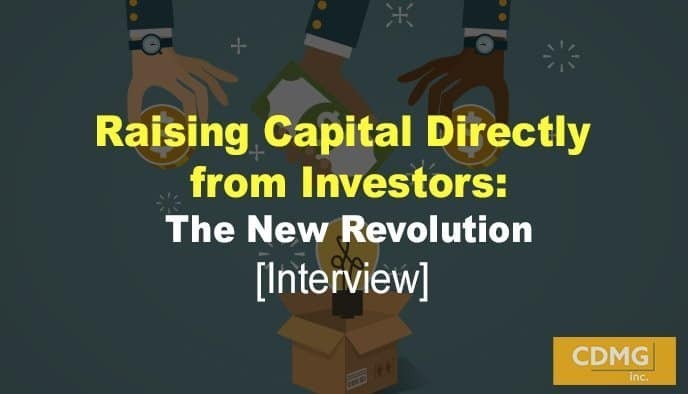 In this interview, you’ll hear from Caleb on who is doing crowdfunding, how it works and what kind of success companies are experiencing with this strategy. Equity crowdfunding allows you to market and advertise your investment opportunity directly to investors and raise up to $50 million in funding that you can use any way you want. Caleb points out how some companies who are equity crowdfunding want to remain private, while others want to use it as a fast-track way to become public. If you’re interested in learning more about this powerful tactic, check out my book – 23 Equity Crowdfunding Secrets to Raising Capital. It’s the world’s only comprehensive marketing guide to equity crowdfunding. And, you can get it for 20% off here. Click here.